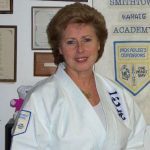 Marilyn Fierro is a New York-based freelance writer and heads the Smithtown Karate Academy on Long island. She is a 9th Dan under both Hanshi Adler and Grandmaster Uezu in Okinawa. What are the Best Weapons For You?